It’s better to be a pirate than join the navy. Finally, on Sunday night around 10pm, it was time to hoist the Jolly Roger. Capps climbed onto the roof while we stood guard below. He wasn’t sure how he would attach the flag, and didn’t have many tools with him. He scoured the surface of the roof and found three or four long, rusty nails, which he was able to use to secure the flag pole to a groove in the roof, ready to greet the Mac team members as they entered the new building the next morning. 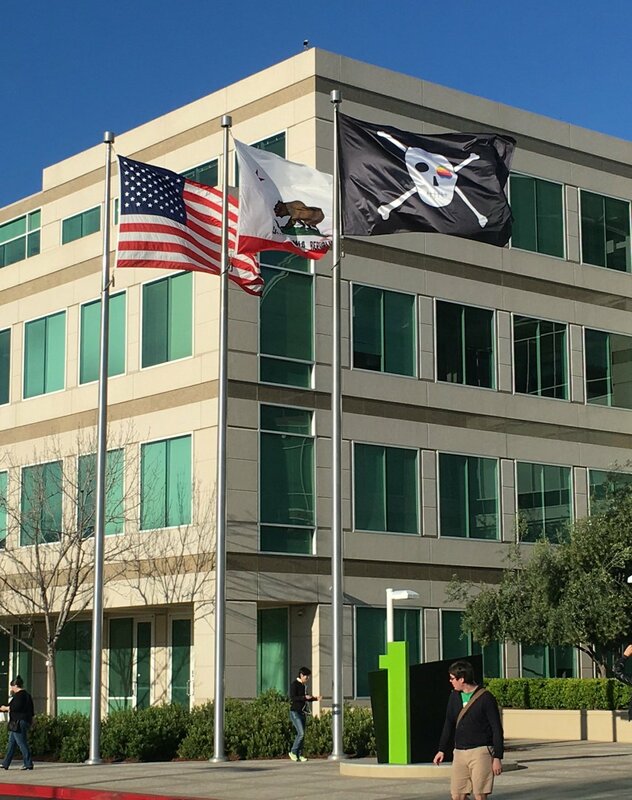 We weren’t sure how everyone would react to the flag, especially Steve Jobs, but Steve and almost everyone else loved it, so it became a permanent fixture of the building. It usually made me smile when I caught a glimpse of it as I came to work in the morning. 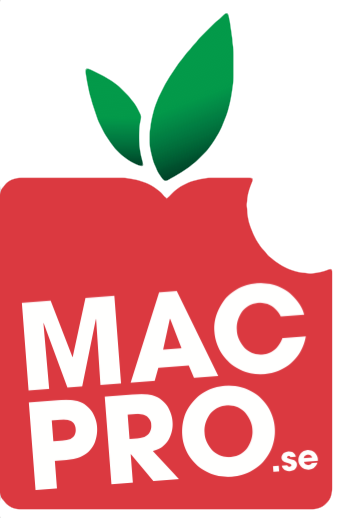 Apple, tack och lov, fortsätter uppvisa en stor portion humor.